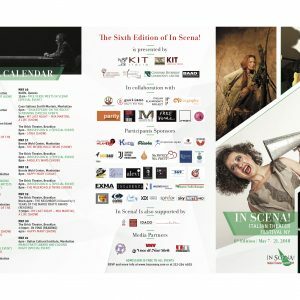 RSVP FOR THE SHOWS AND ENJOY 15 DAYS OF PURE ITALIAN THEATER IN NY: MAY 7-21, 2O18. ALL 5 NYC BOROUGHS! Be part of KIT! Check the AD and come to the auditions. In the photo, our very first YoungKIT group. KITNewsletter November 2017 is out!